Opening hours are subject to changes depending on the weather. Please, always make sure to get current information beforehand. 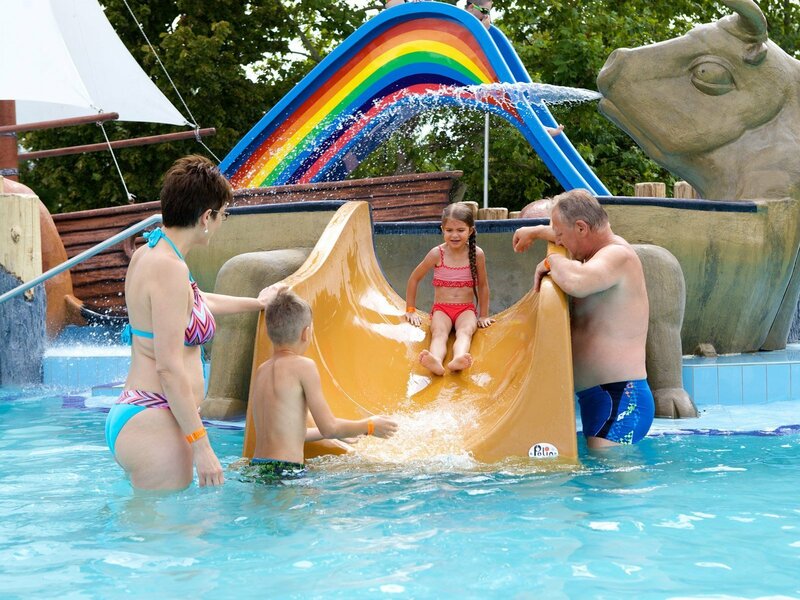 The Aquapark that was opened as the first aquapark in Hungary is located within the area of the open air bath of Hajdúszoboszló. 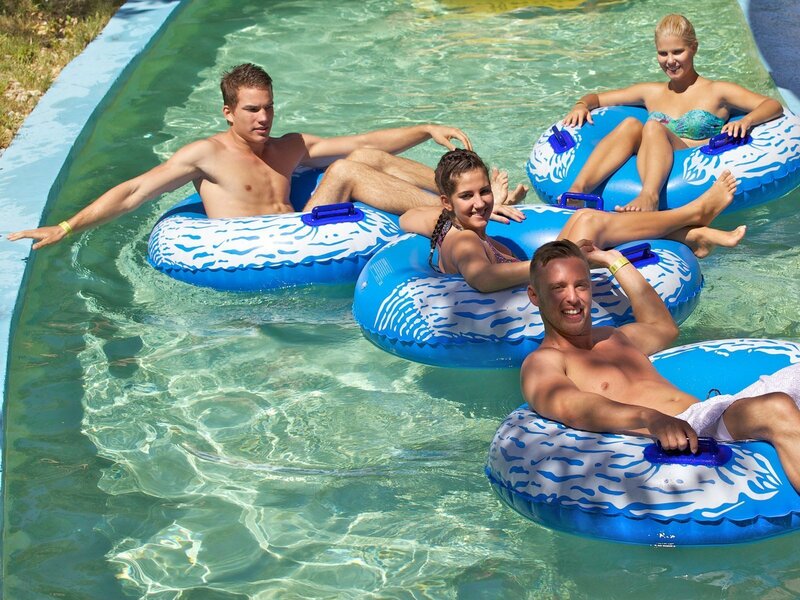 The Aquapark may be approached from the area of the open air bath after purchasing a separate Arm Band, which may be valid either for a complete day or for a shorter time. This part of the bath complex awaits its guests, equally the children and the adults, during the period that lasts from May to autumn. The Aquapark offers 9 types of slide tracks to the visitors, which offer different adventures for splashing into the water with starting from a height that is above 10 meters. At the time of the opening there was such a great interest towards the slides (four track multi slide, kamikaze, hydro slide, black hole, crazy river, huge slide) that straight away they were thinking about expanding the offer. 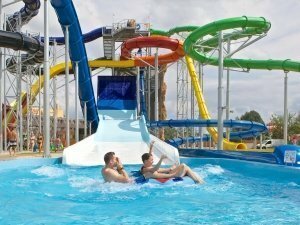 Due to the great success of this new service, the area of the Aquapark separated from the area of the open air bath was extended to 1 hectare in year 2002 as a result of an additional development, with offering new slides in line with the demands of the guests. The names of the new tracks are “big hole”, “twister” and “Niagara”. For relaxation and bathing after the sliding adventures there are three open-air pools and a drifting river for people of all ages. 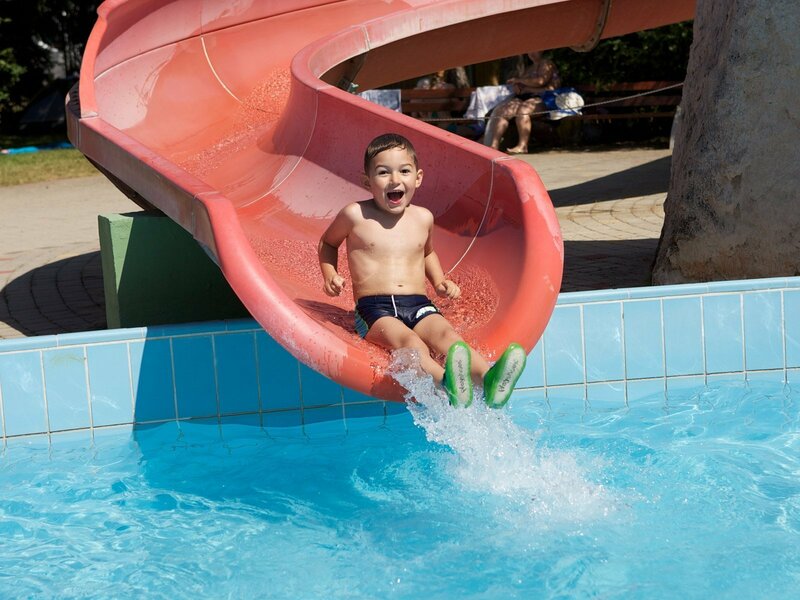 The additional entertainment of small children is also ensured by the mini slide, the water castle and the wooden playing ground. 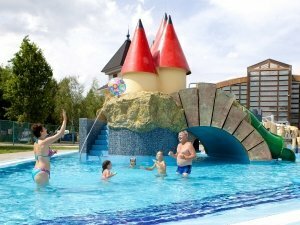 The real size animal figures installed within the area of the open-air bath may be seen in the pools of the Aquapark as well, and probably they are recalled as the symbols of pleasant adventures not only by the children, but by the adults as well. Click on the “Irányok lekérdezése” (Get directions) button!